Pharmamed-Mado, d.o.o., has had a long and successful business journey. Our 25 years of work are characterized by constant growth and development. Our activity, which is based on knowledge, expertise and experience, includes developing and representing internationally renowned brands of medical products, accessories, equipment and medications from the fields of anaesthesiology, intensive therapy, emergency care, oncology, respiratory therapy and paediatrics. We achieve success through planned investments in development and innovations, which are also recognized and valued by our business partners and colleagues. We are a future-oriented company with strong and successful ties to our international business partners. Our activities are based on ensuring quality in all areas of business operations, whereby we follow the highest expert and ethical standards. The measure of our success is the satisfaction of our clients – hospitals, healthcare institutions, medical staff and patients. We are committed to fulfilling requirements and are constantly improving our quality management system. 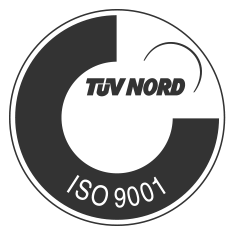 Our business operations are performed in accordance with the ISO 9001: 2008 international quality standard. Our mission is to ensure in a socially responsible way a higher quality of health and healthcare services by providing high-end medical equipment which is the result of innovations from around the world. We work for life and its highest quality, because we are convinced that our state of the art medical equipment enables hospitals and other healthcare institutions to offer a high level of healthcare services and helps doctors more easily perform medical procedures and more successfully monitor patients in the post-operative stage, thus contributing to the common goal of everyone involved, i.e. the successful treatment of patients. The vision of Pharmamed-Mado, d.o.o., is to continue being the first choice of care with innovative medical accessories in the fields of anaesthesiology and intensive therapy on the Slovenian market, which we strive for with high-quality services and products. Social responsibility is tied into our mission. We constantly invest in expert development and education. Our thinking is advanced and multidisciplinary; because every life counts and is valuable. Our team consists of professional and expert associates, who, with their knowledge, efficiently contribute to the business and scientific development of the company.